This family event is a fundraiser scheduled to coincide with Cambria’s Scarecrow Festival. It will start at Shamel Park, 5455 Windsor Boulevard in Cambria (located off Highway 1 at the north end of Cambria) and then head south toward Fiscalini Ranch. The entire course is next to Cambria’s pristine coastline along the trails of the Fiscalini Ranch. 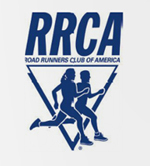 The run is a fundraiser for the Cambria Youth Athletic Association. Register through RunSignup at https://runsignup.com/Race/CA/Cambria/scarecrowclassic.